Is Lindsey Graham About to Get Outed? Gay rights activist Mike Rogers, the professional outer of closeted, hypocritical gay politicians, claims to have "pictures of a man who spent the night" with Sen. Lindsey Graham. He's supposedly meeting with his lawyer today before releasing them. Rogers' previous outings of Ex-Rep. Mark Foley, Ex-Sen. Larry Craig and Ex-RNC chair Ken Mehlman, among others, once earned him the completely arbitrary title of "most feared man on the Hill." He keeps a list, and there are still many names on it. 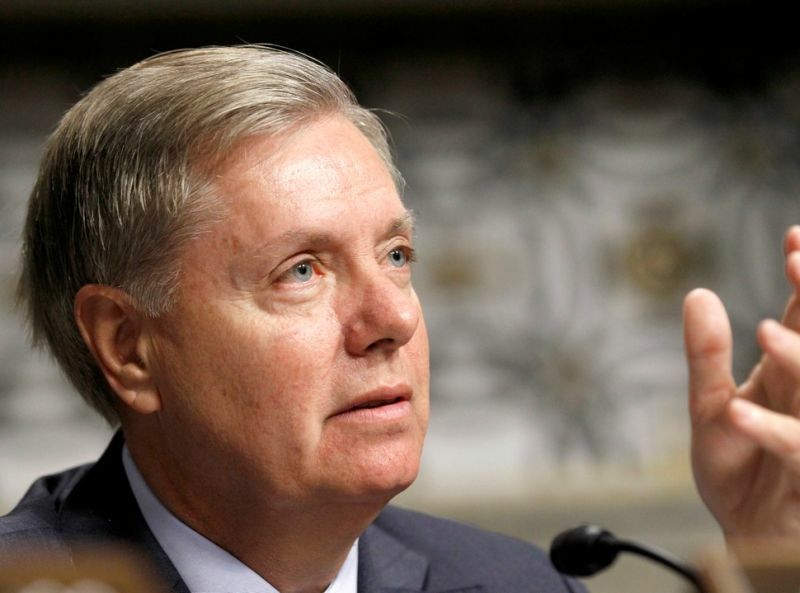 Lindsey Graham has been hounded by gay rumors since his first runs for Congress in the '90s. He has never been married, which, to some, proves everything. The rumors still come up regularly, like when another South Carolina politician let it slip in a 2009 interview. And the New York Times Magazine asked him about it in a big profile earlier this year, to which Graham responded, "I ain't gay." Just reached lawyer at home. Meeting set for Tues. on releasing pix of man who spent night at Lindsey Graham's. The language here could use a little more specificity. What does he mean "pictures of a man who spent the night" at Graham's house? Pictures of the man leaving the house? Pictures of a goodbye kiss? Is the man his best friend John McCain? Because maybe he just had male friends over to play Connect Four, like all middle-aged bachelors with money. In any event, gay bloggers are stocking up on popcorn. We'll see what Mike Rogers comes up with, assuming his lawyer doesn't nix this plan. But keep in mind that Lindsey Graham is still an active member of the Air Force reserves, and Don't Ask Don't Tell — which Graham voted against just three days ago — will still be kinda-sorta in place for a time until the full repeal takes effect. If Graham's worried about this, it could account for all of the hyperventilation and rage he's shown in the last few days.